Launching and running a successful e-commerce business can take just as much hard work and tenacity as running a brick and mortar business. Of course, to help build that success, you’ll need certain key ingredients to help make your business viable and relevant to customers. While you won’t have the added expense of operating a physical location, these ingredients do come with a cost that must be accounted for when considering your business operations. Here are a few important components to helping your e-commerce business thrive. The 90s and early 00s was a period of utilitarian websites- that is, they served their purpose, even though they didn’t look that pretty while doing it. 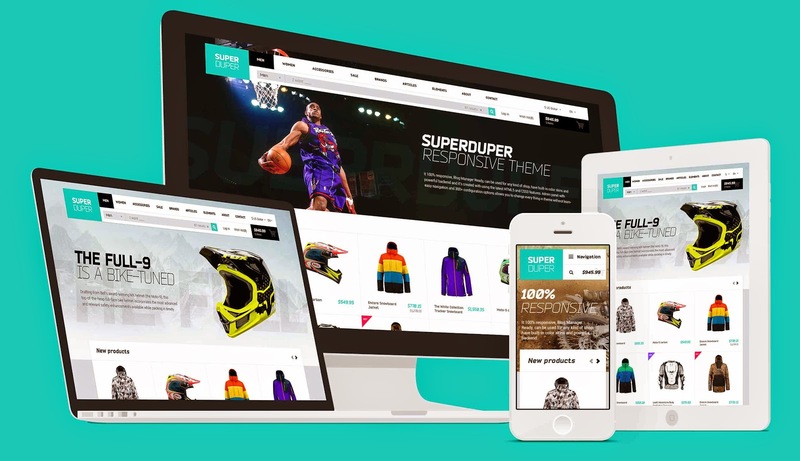 For an e-commerce platform today, however, your e-commerce site needs to be both functional and beautiful in order to be a hit with customers. Fortunately, there are many companies that allow you to easily design a great-looking website without having to write a single line of code. For more permanent aspects of your business, such as logos, it’s generally a good idea to bring in a graphic designer to ensure you get the perfect logo for your business. You only get one chance to make a good first impression, so it’s important to make sure your website does just that. Though you can’t accept cash through your online platform, your customers are still going to require plenty of online store payment options. A lack of options will effectively eliminate some customers who prefer to utilize only one form of digital payment. It’s important to select the right mix of options through a service like BlueSnap.com while still controlling the costs associated with offering those options. This is where constant evaluation of customer data is so important, since this evaluation will help you determine which forms of payment to continue accepting as you move forward. Even more important than a plethora of payment options, however, is ensuring the payment options you do offer are absolutely secure. Just one case of credit card fraud or identity theft resulting from an oversight on your part can have major consequences for the future success of your business. Therefore, it’s important to do everything you can to show your customers the options you offer are absolutely secure and that you’re doing everything you can on the back end to protect their information once you’ve received it. Search engine optimization, or SEO, is one of the most crucial factors to the success of any online-only business. E-commerce success is entirely dependent on being found by initial customers and then creating a brand awareness as you work toward a critical mass of sorts. In the crowded world of e-commerce, then, SEO is one of the most important investments you can make. Organic SEO, such as through the use of blog content, videos, and other fresh media, can certainly help. However, due to the explosion in popularity and awareness of this field, utilizing an SEO firm could be one of your most important steps. They can help you focus your resources and work toward achieving that coveted first-page search engine placement. Ultimately, no matter what you do to find success, building your e-commerce business is going to take time. It’s important to stick with it through those early days when it seems like it’s never going to be profitable. As your good design and advertising decisions begin to take hold, you will be rewarded for your patience and your persistence with a successful e-commerce business.